rcubedagain: Walt Disney- "Secret Lives"
This is part of a UK documentary series(Secret Lives) about the darker side of Walt Disney (or at least the un-PC side, to show he wasn't as boring as depicted in most history books). It everything said true? Probably not.But then nobody every said a documentary is completely accurate and one sided. However, I do find it funny Schultz is adamant about showing the potentially embarrassing side of Disney after his death, only to have the same fate happen to him with the recent book. "Includes interviews with artists Bill Melendez, David Hilberman, Mary Eastman, Bill Hurtz, Marie Beardsley, and Bill Littlejohn, screenwriter Joan Scott, and biographers Marc Eliot, Richard Schickel, and Bob Thomas." I've seen this. it's pretty good. Some say its slander, but I think it has its roots in truth. It may not be far off the mark. You know, it's interesting how Bill Melendez can change his opinion. In this documentary, Bill said he was ashamed of working on "Fantasia". 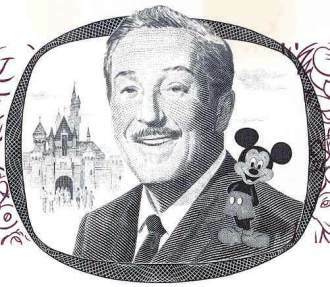 However, in 2004, when interviewed for Channel 4's "Top 100 Cartoons", he said he loved "Fantasia" and said it was one of the best animated films ever.